In his novel El sueño del celta (“The Dream of the Celt”), the Peruvian Nobel winner Vargas Llosa finds perfect protagonist in the gay British consul and later Irish rebel, the agent and later crown witness of Belgian & British colonialism. 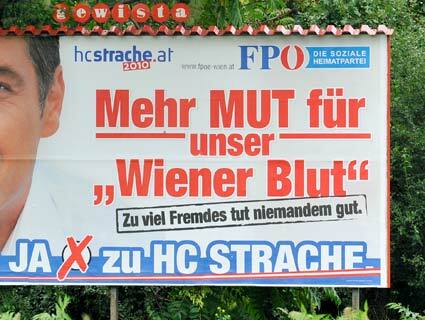 The Austrian Freedom Party (FPÖ) took the liberty of placing an overtly racist poster in Vienna for the City Council elections on 10 October, bearing the slogan: Mehr Mut für unser Wiener Blut (‘More courage for our Viennese Blood’). This is in many ways instructive for hopeless cultural analysts like me who are interested in vampirism as well.